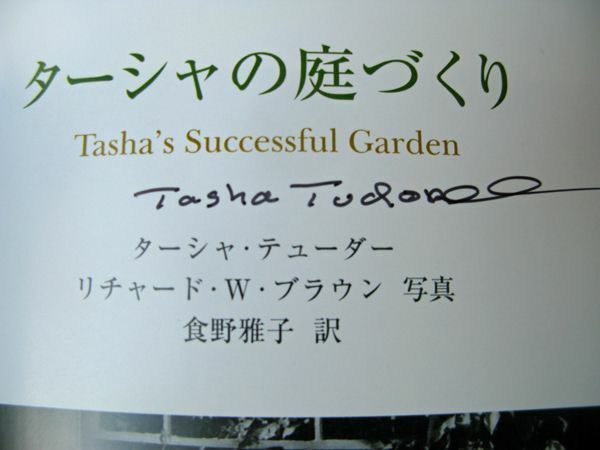 During what turned out to be the final year of Tasha Tudor‘s life (1915-2008), I happened to purchase an autographed copy of one of her last books: Tasha’s Successful Garden (in Japanese). It’s one of the few books I kept after a major decluttering of our home a few years ago. It’s rare to see video from her garden, but there is one video (below) from the same era that gives a good glimpse. If you want your own Tudor-inspired cottage garden, I started mine with delphiniums. My first encounter with Tasha Tudor’s garden, or, more accurately, her love of gardens, was through her children’s book illustrations. I never cared much for the stories, but, even as a child, I would examine any gardens depicted intently. I cannot share images here because of copyright protections, but you can certainly see them online or at a local library. I think too, because her Vermont growing zone was similar to my own in Canada, I loved seeing familiar flowering plants like my mother’s peonies growing in such abundance. I just knew I had to have my own garden one day. In the early 1990s, several books were published featured the gardens, life, and handwork of Tasha Tudor and they were a huge source of inspiration for me. For two of the books, the combination of Tasha’s lifestyle, Richard Brown‘s gorgeous photography, and the writing of Tovah Martin, (who is still a favourite garden writer and houseplant fanatic), was perfection. If you are a lifelong gardener and/or maker of creative things, there is much to devour in those pages. Around that time, there were also a lot of rumours about bad business dealings or partners will bad intentions (trying to take advantage of her), and, what fans hoped would become a longer series, eventually came to a halt. I’m not sure how the books would seem to fresh eyes today, but they were certainly lovely back to me back then. My guess is, they are still igniting plenty of new gardeners today. A few years later, this Japanese version appeared, again with Richard Brown’s photography. In a rare impulse buy, I pre-ordered a copy through the Tudor website. I never had fantasies of meeting her though, either through a speaking engagement or garden tour, because, I remember reading that she insisted girls must dress a certain way and there is no way this Empress is putting on a dress or skirt for anyone! Here’s the video. It’s extra special because there is aerial drone footage, long before drones were popular (as they are today). The narration is in Japanese. Please note that the this sort of footage is not available in English so enjoy it because it’s all we’ve got! Be sure to sign up for the free Empress of Dirt newsletter for creative and frugal ideas for your home and garden. Thanks for sharing that video! I loved listening to the Japanese narration – so lyrical! I’ve always admired Tasha Tudor, the woman and her work, and have many fond memories of sharing her books with my four children. Thanks, again. I’ve always admired Tasha Tudor as well. Loved the visuals, would have preferred the narration in English. I could not see the video. Sound was coming thru but no pic. Nice piano music but i do not understand Japanese. I enjoy your site and newsletters esp in snowy winter. Something to look forward to in the spring. What a remarkable lady! A beautiful garden that will take me 100 years to achieve in the Australian heat with a heavy clay soil. I grow hardy cottage plants which can stand the dry summers and wet cold winters. I think I’d have dressed like an alien if I could have poked around her home and garden!!! Thanks for showing this, I hadn’t heard of her. And will definitely do more research. Our equivalent here would be Edna Walling…or for an amazing story and garden Google Dame Elisabeth Murdoch. Thank you, Lesley. I will check them out. Always love hearing about remarkable gardeners. 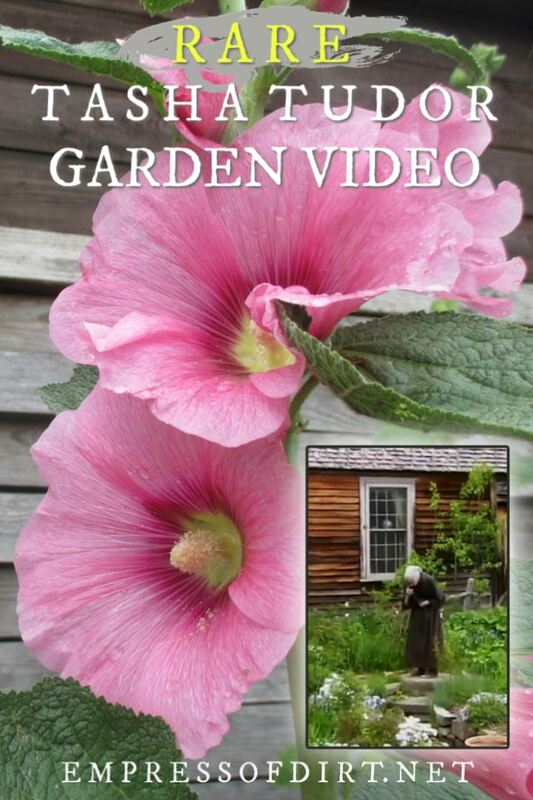 Thank you for including the video on Tasha Tudor’s garden. I have always been a fan of her beautiful illustrations. I wonder why the video was in Japanese? What an amazing garden. I would love to end up with something like that! That’s cool that you have an autographed book. 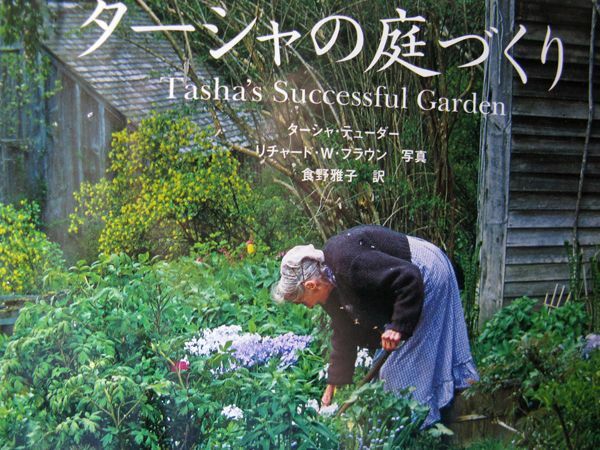 Just watched video of Tasha Tudor in her garden! I am embarrassed that I never heard of her or saw her drawings. Thank you for featuring her in you blog. I am so touched & inspired. What an amazing women…also will be trying to drill glass soon. Your blog inspired me, too! Hi Ginna, So glad you enjoyed Tasha and got some inspiration. Welcome!